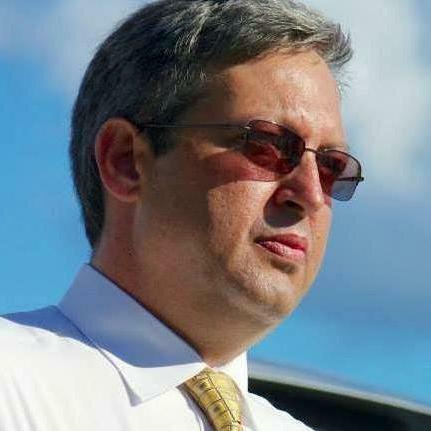 Libertarian gubernatorial candidate Adrian Wyllie on Tuesday announced a month-long, 30-city campaign tour of some of Florida's local breweries. Wyllie for Governor campaign manager Danielle Alexandre says they chose to tour breweries because "the craft-beer industry had come under fire with legislators in Tallahassee." She says because the craft-beer industry is "something the state should be commending instead of hindering," the campaign thought a tour of the breweries would be a "great way to show support for a really flourishing industry and to show a difference between the candidates." Earlier this year, legislation that could affect the craft-beer business was up for consideration in Tallahassee. Wyllie's tour will consist of at least two campaign staffers traveling with the candidate to each of the 30 stops. At each stop, regional staff will join the event for meet-and-greets with the candidate. Alexandre calls the craft brew tour "very informal." "Voters will have all the access to him. They'll be able to go up, talk to him, shake his hand, tell him their concerns and ask him the hard questions," Alexandre explains. "He doesn't want to be detached from the people. He wants to be there with the people, have a beer with them." Alexandre says the candidate likes drinking lagers. 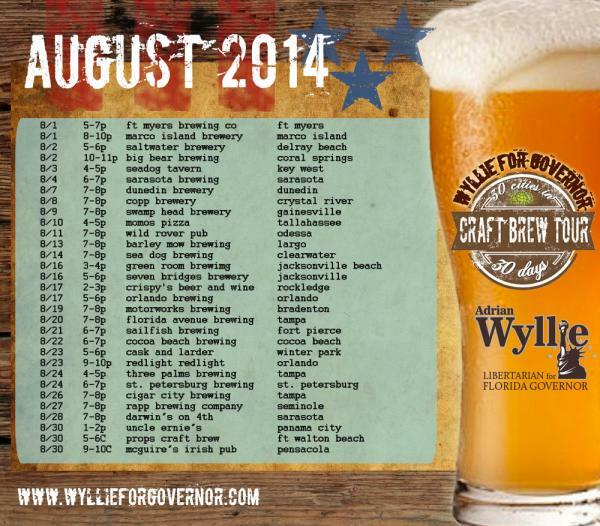 Wyllie's Craft Brew Tour will be at the Saltwater Brewery in Delray Beach on Aug. 2 from 5 to 6 p.m. and Big Bear Brewing in Coral Springs from 10 to 11 p.m. He will be at the Seadog Tavern in Key West on Aug. 3 from 4 to 5 p.m.
Alexandre says the campaign tried to get locations in Miami, but "logistically it just didn't work between the times that they were open and available and the times that we could be there." The campaign is looking to come back for more campaign events in Miami in September, she says. A new poll is out looking at the Florida governor’s race and one candidate is doing better in the polls than you might expect. The stat masters over at FiveThirtyEight have a breakdown of polling data that shows Gov. Rick Scott and Charlie Crist may be the two most unpopular gubernatorial candidates ever. Florida’s craft beer brewers have been pushing for years to remove a law keeping them from selling containers of a certain size. But a Senate bill that does away with that restriction also adds a different rule brewers say would hurt their booming business. Following a national trend, the number of craft breweries in Tallahassee is expected to double in the near future. 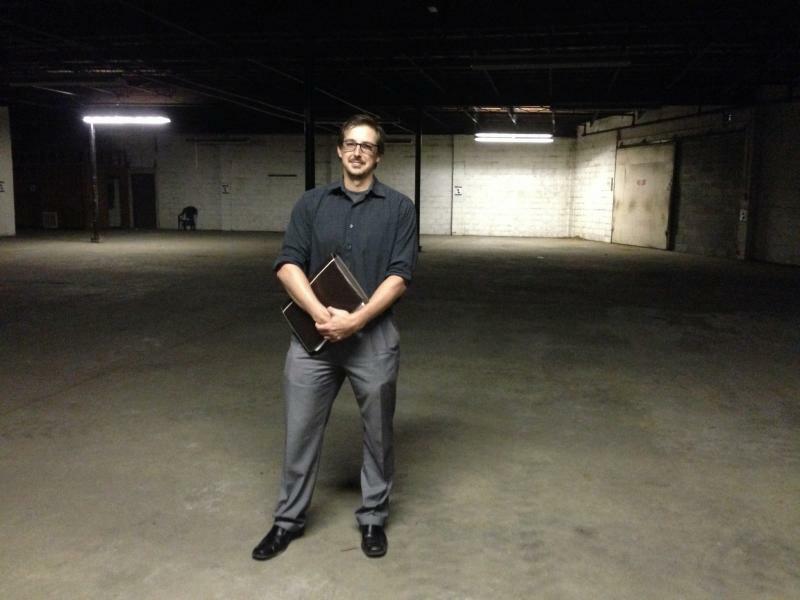 In a warehouse six blocks from the Florida Capitol, Gabe Grass is about to open the third microbrewery within a mile radius. What would you do for a year's supply of beer? We find out one UF student's winning, and potentially deadly, answer in this week's ONLY IN FLORIDA.